Quiznos now offers over 25 NEW chef-inspired menu items, including grilled flatbreads, salads and wraps. We also offer only all-natural chicken, freshly-sliced deli meats and artisan breads and cheeses! 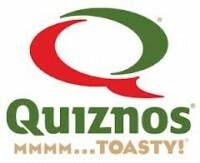 Quiznos is the perfect answer to your lunchtime Qraving!